Albert M. Quirantes is a Miami, Florida criminal defense lawyer with over 27 years of experience in his field. 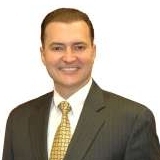 He is Managing Partner and Criminal and Traffic Defense Trial Lawyer of Ticket Law Center, a criminal defense law firm. Albert has been with the firm since 1990, and his key responsibilities include litigating all criminal DUI, DWI, and traffic ticket matters, conducting jury trials and bench trials, as well as managing two attorneys and a team of paralegals. He is also responsible for media, and regularly appears on local and national media outlets. He designed one of the first law firms dedicated to serving the consumer in need of traffic citation defense with low reasonable fees and payment plans for virtually all budgets. Albert is a frequent panelist on local and national media television and radio shows regarding traffic and criminal defense issues. Albert is a member of the Florida Bar, is admitted to practice by the Federal Trail Bar for the Southern and Middle Districts of Florida, Eleventh Circuit Court of Appeals in Atlanta, Ga. & the United States Supreme Court in Washington, D.C. A member of the the Cuban-American Bar Association, he has served as Vice Chair of the Dade County Bar Association's Criminal Courts Committee, a former Vice Chair of the Florida Supreme Court's Traffic Court Rules Committee, where he served three terms for six years. He is also a member of the National Association of Criminal Defense Lawyers, Florida Association of Criminal Defense Lawyers, and was named to the National Trial Lawyers Top 100 in South Florida Criminal Defense. Albert has a Perfect Ten (10) Rating on AVVO.com, is cited as a Top Contributor on their website, and has repeatedly received the AVVO.com Client's Choice Award. He is also a commentator on legal issues for the local and national media. Albert received his Juris Doctor degree from the Fredric G. Levin College of Law at the University of Florida in 1987, and a Bachelors in Business Administration from the University of Miami in 1984. He has worked as an assistant Public Defender for the 8th Circuit of Florida. Going forward, he would like to use his expertise to further assist the disadvantaged and underserved. He enjoys contributing to Lions Club International, Operation Smile, Special Olympics, Mavericks In Education, Miami All-Stars, Kidside, and Faith Place Autism Outreach. When he's not working, Albert enjoys fishing, scuba diving, and going to Miami Marlins and Miami Dolphins games.